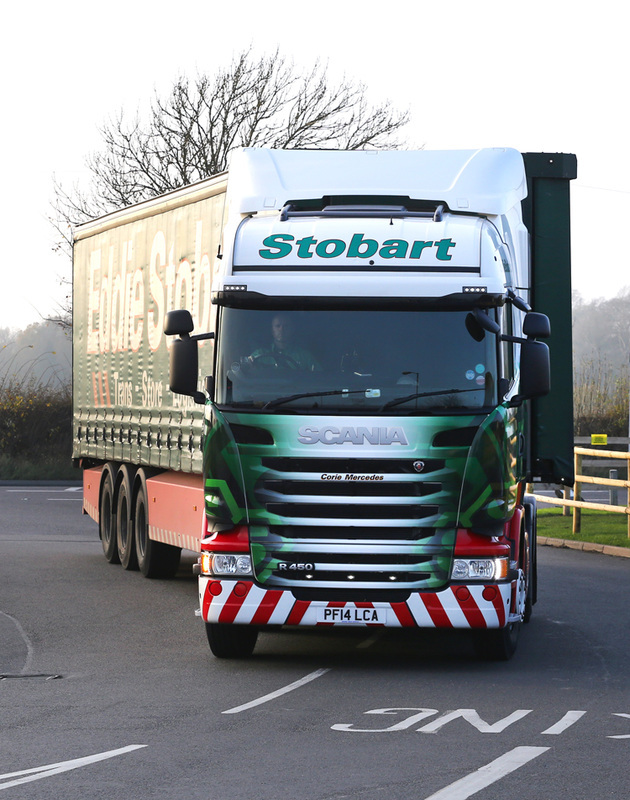 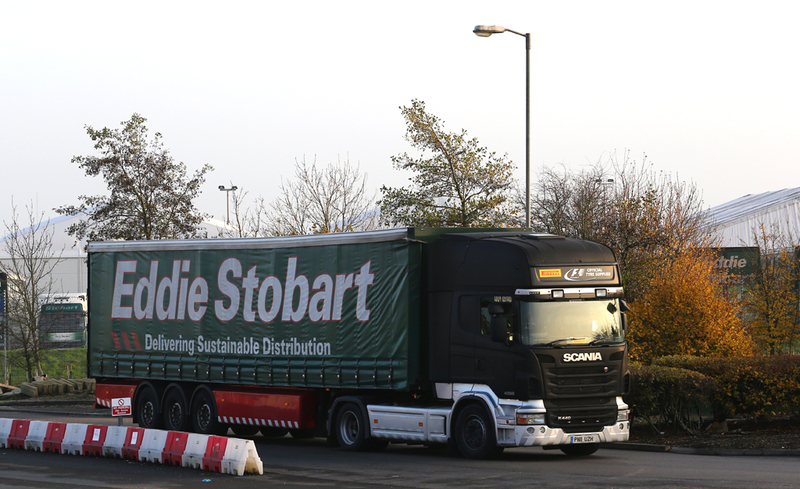 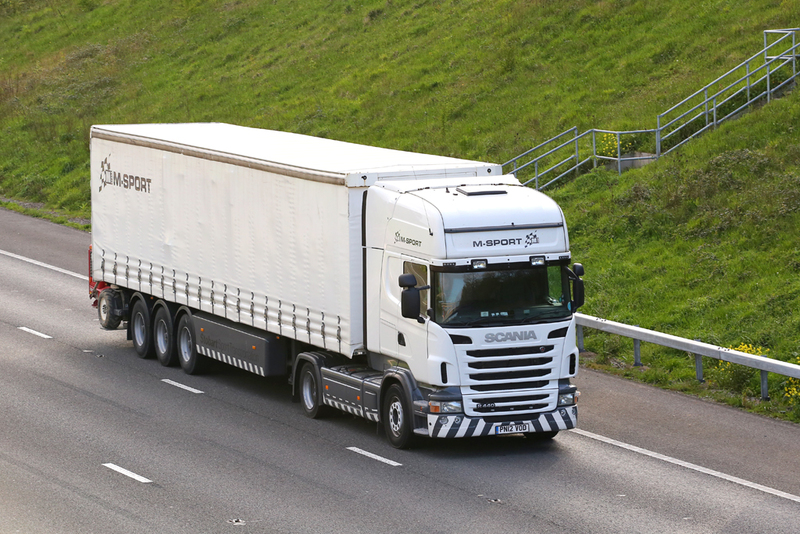 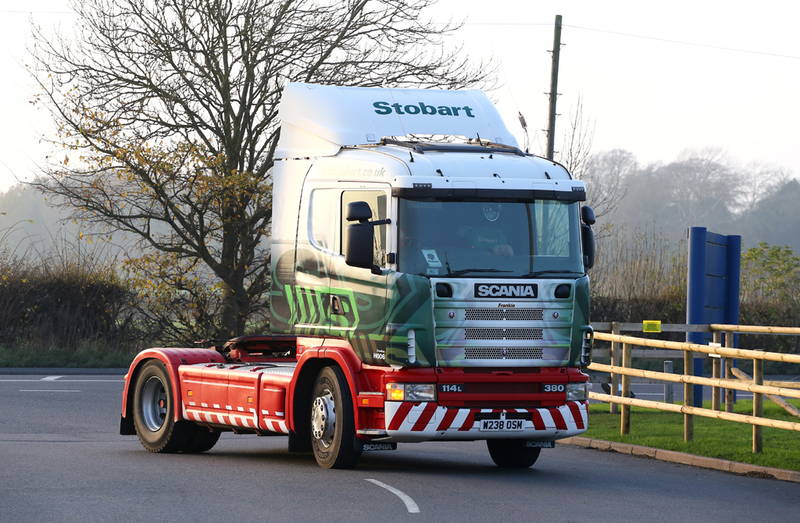 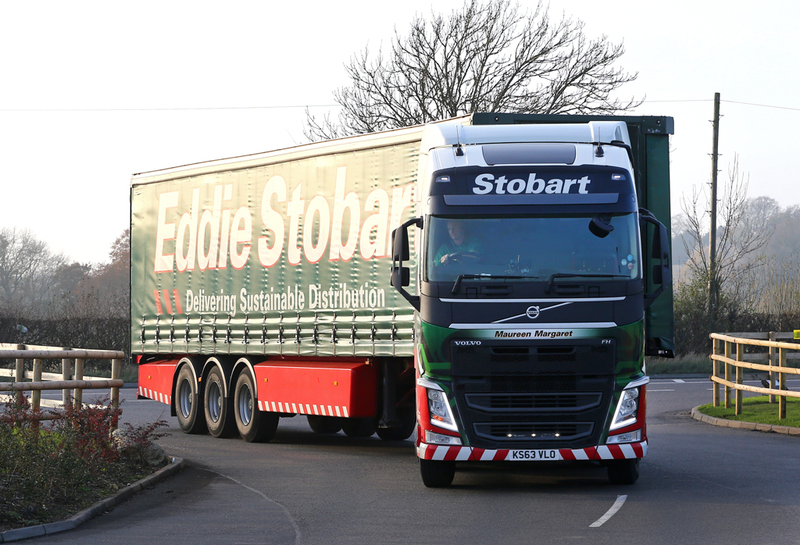 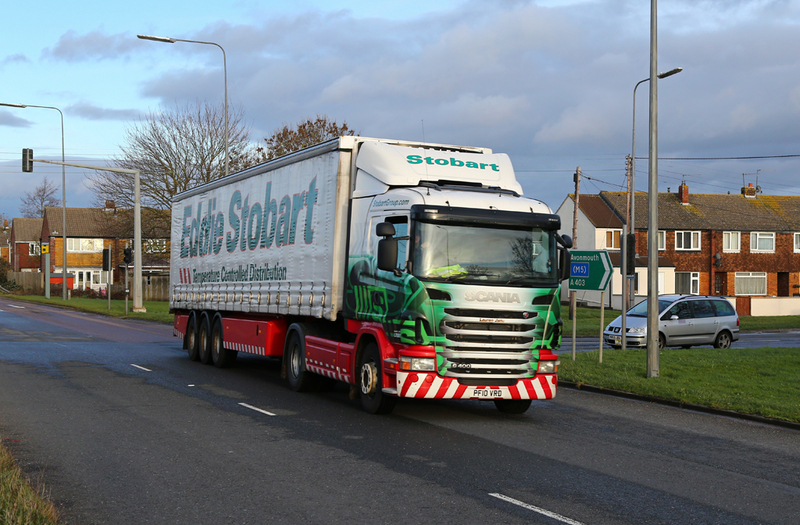 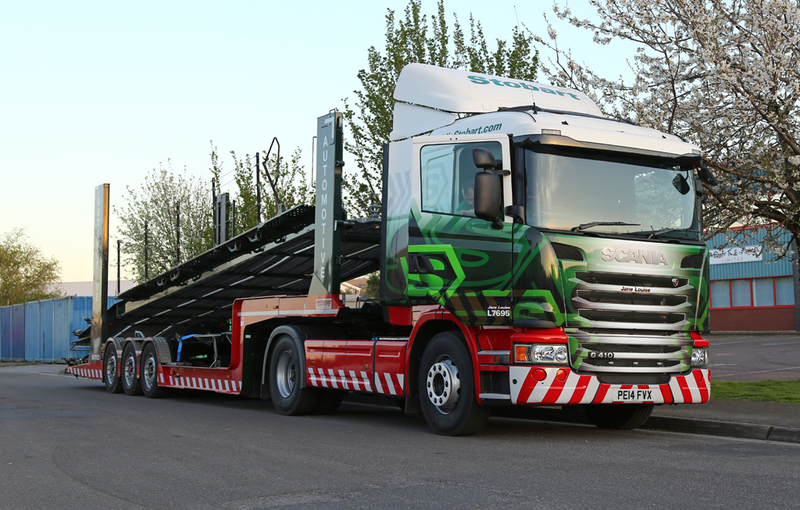 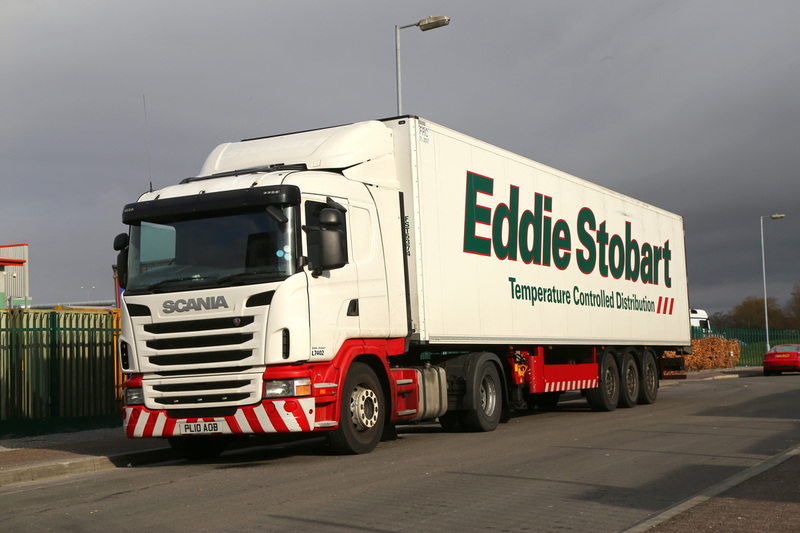 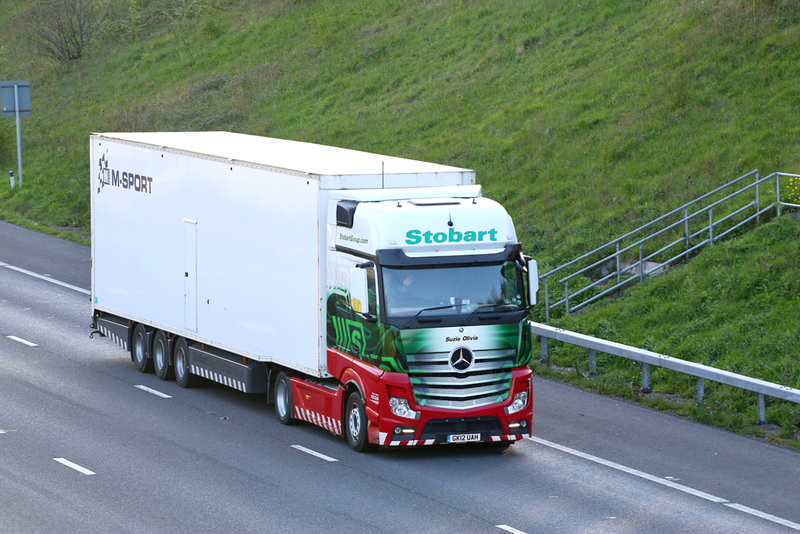 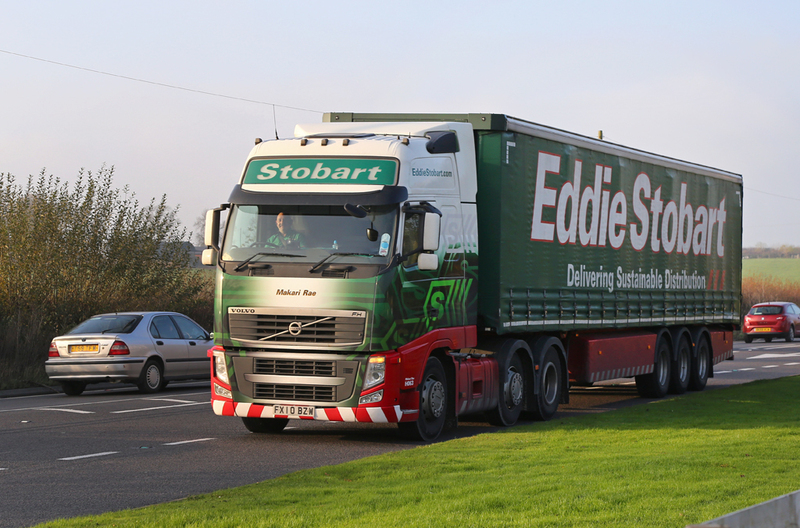 Eddie Stobart is one of the UK's most recognized road hauliers. 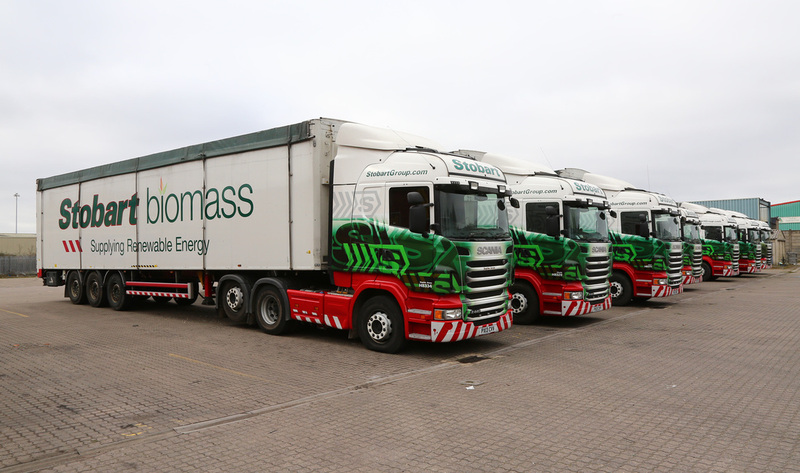 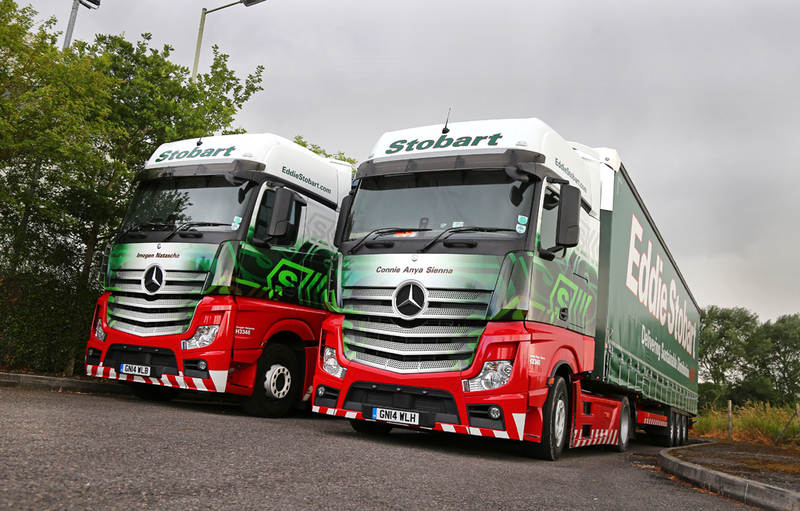 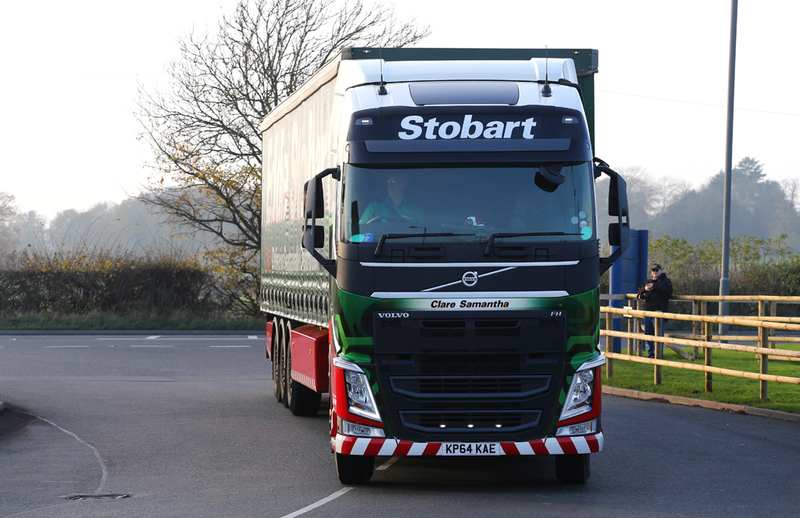 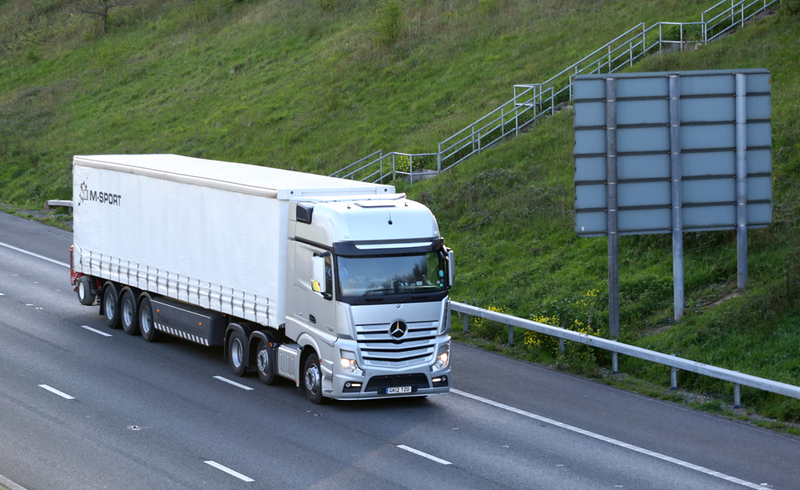 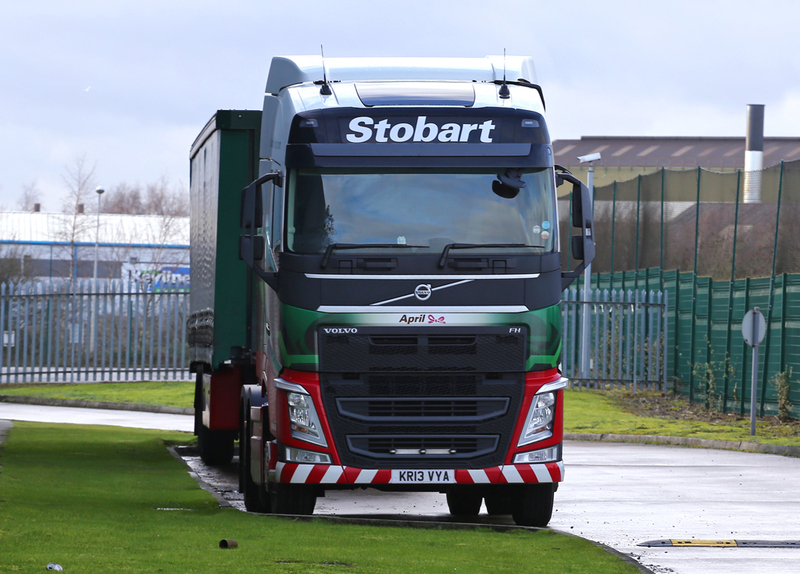 Their red and green fleet of over 3000 trucks travel the length of breadth of the UK and Europe delivery goods each day. 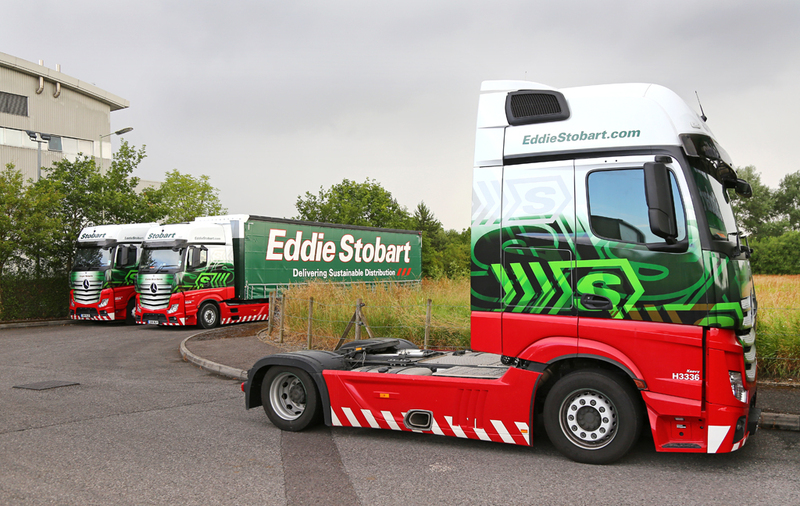 This gallery covers images of their famous fleet from various travels around the UK. 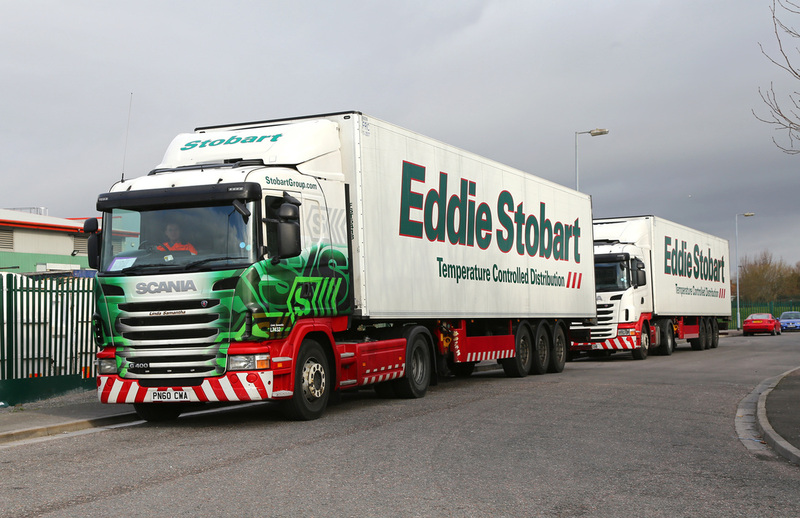 Having their own TV series on Channel 5 has lifted the company profile even further with the British public. 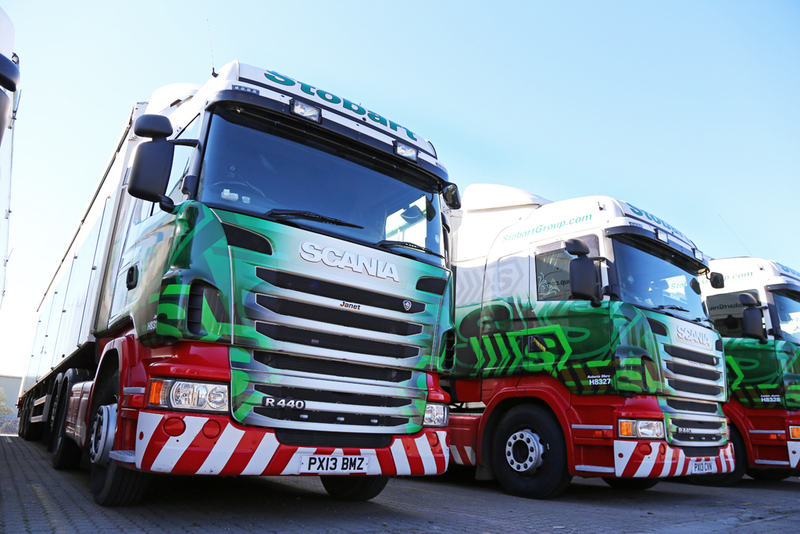 With all the Stobart trucks named after girls, the interest in their fleet is more than any other trucking company on the road, and certainly provides a great way to keep children quiet on long journeys! 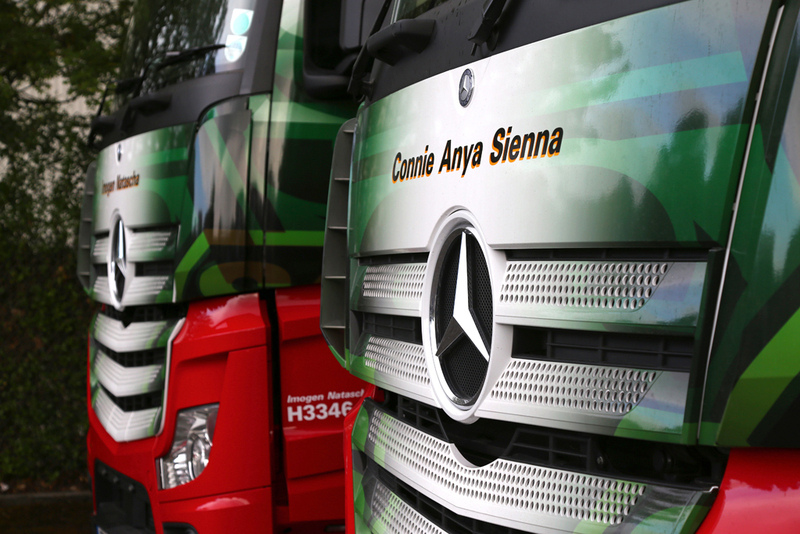 (although the less said about the adults the better). 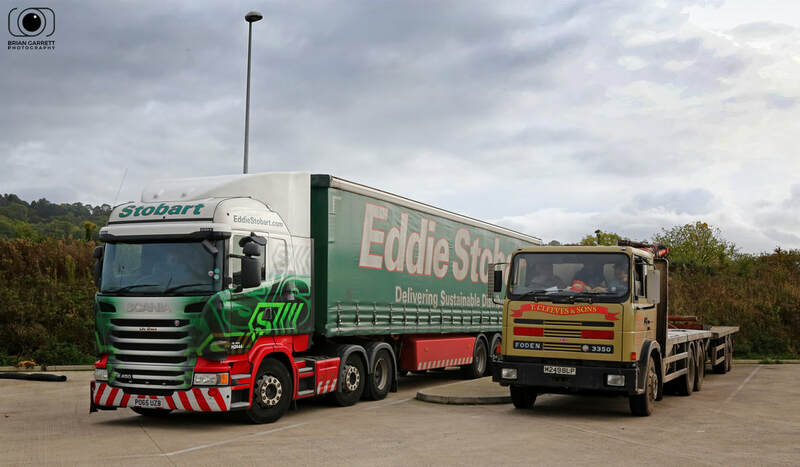 Stobart even have their own 'APP' to allow users to track and 'spot' their trucks on the move, with some people now turning 'Stobart Spotting' into more a sport than a pass time! 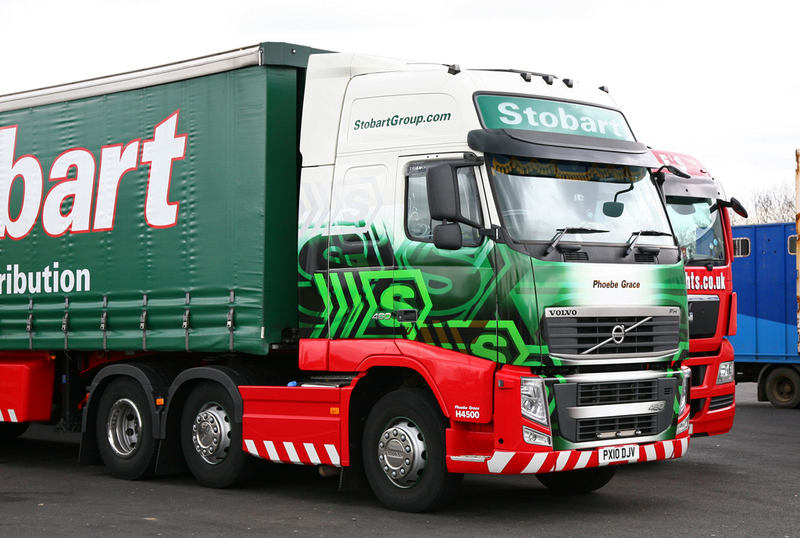 The company even offer the chance to become a member of the 'Stobart Fan Club' which entitles you to name your own truck, have depot visits, receive a quarterly magazine and receive a bi annual fleet list. 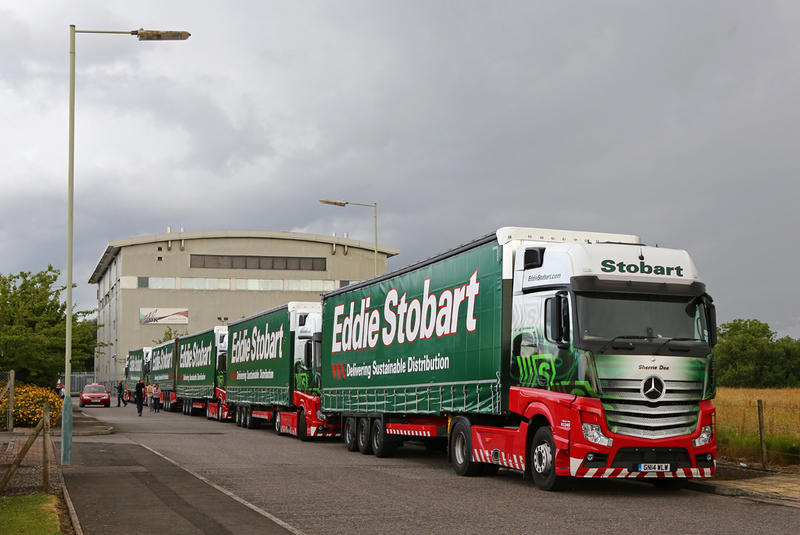 Annual 'Stobart Fest' events are also attended by thousands of people each year, all wanting to see their favorite drivers from the TV series. 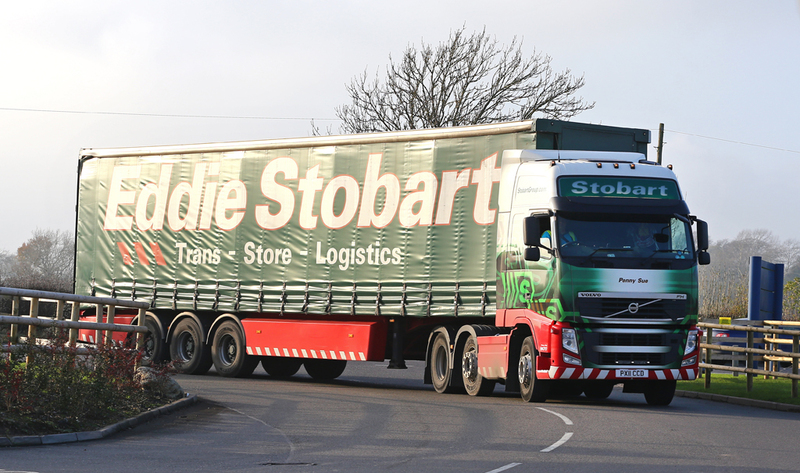 Whatever the opinions on the haulier Stobart....they have a huge brand name which continues to build year on year into a true multi-modal company. 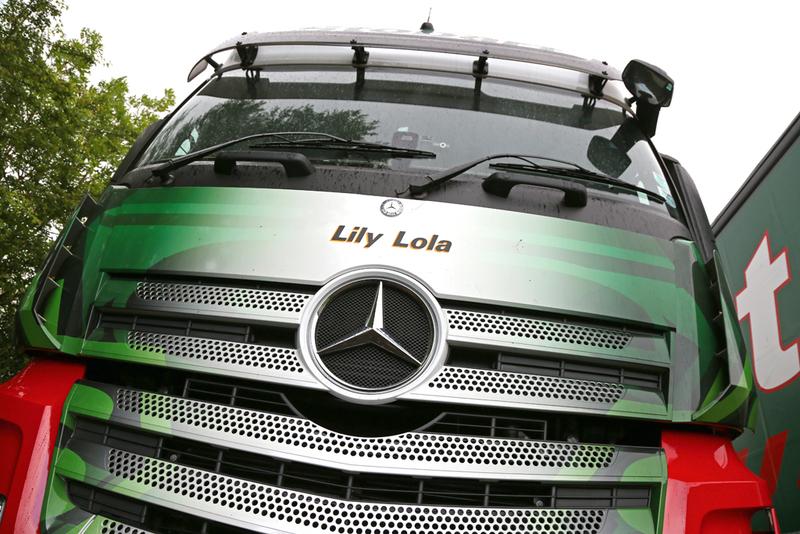 Lily Grace - PO65UZB - H2444: Gloucester Services M5 Northbound. 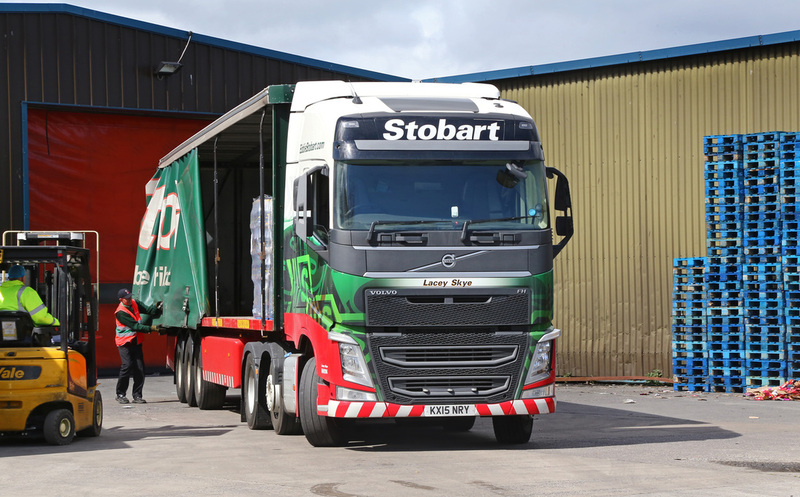 Hasbo's, Newport: Amie Megan PE64EPZ H2060, Karen Margaret PE64UOT H2094, Matha Grace PE64UOV H2096, Samantha Marie PE64UOW H2097, Janet Frances PE64UOY H2099, Ellie Maisie PE64URP H2124, Everly Brooke PE64URZ H2133, April KR13VYA H4945. 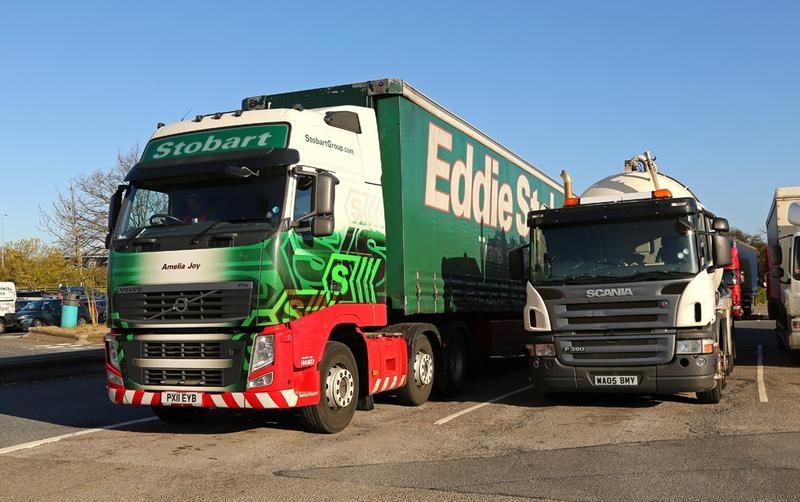 The Eddie Stobart HQ at Daventry is based at DIRFT 1 and is also the location of the Stobart Shop. 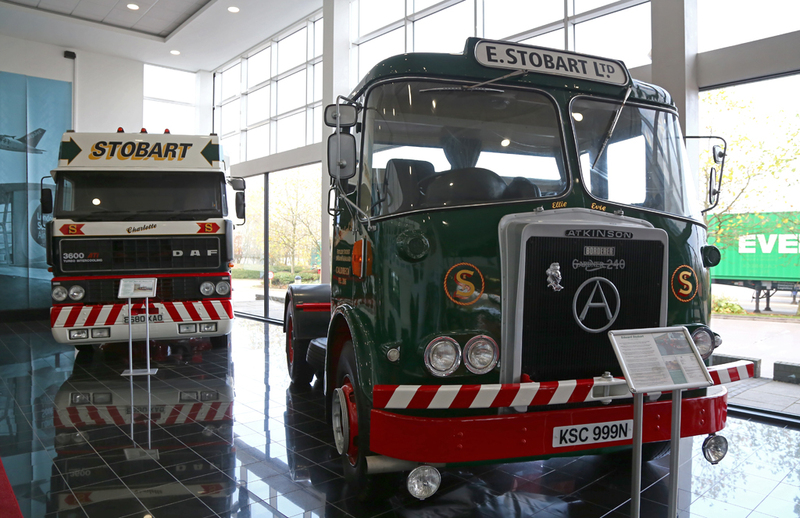 Access to the shop also provides the chance to view operations and the immaculate 'Heritage' fleet which Stobart keep in the glazed office space. 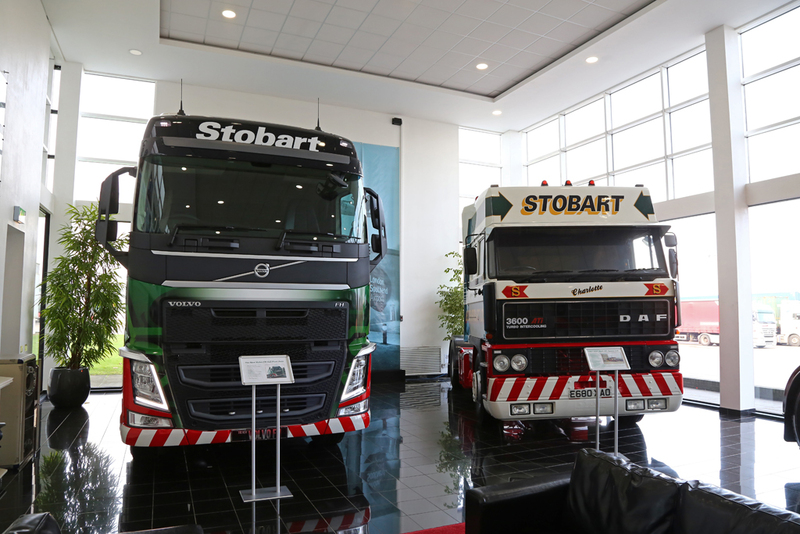 In the images below the contrast of three generations of haulage can be viewed side by side, from the original Atkinson Borderer through to the modern day Volvo FH (H4100). 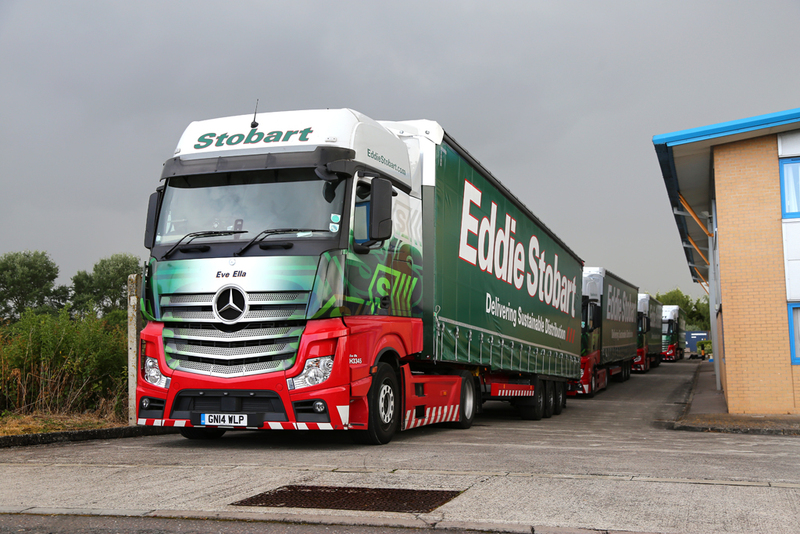 Rugby Truck Stop located on the A5 is a fanstastic place to view the major operations of the Stobart Fleet, not to mention the great food which is served at the truck stop. 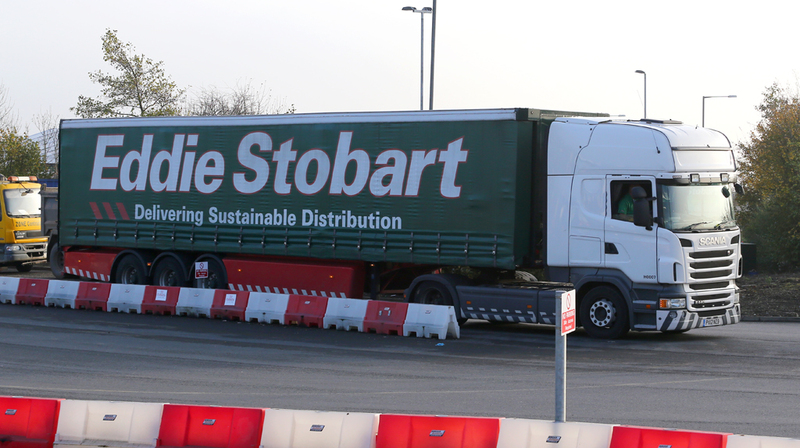 Photographers are welcome at this site providing you stay within the fenced areas. 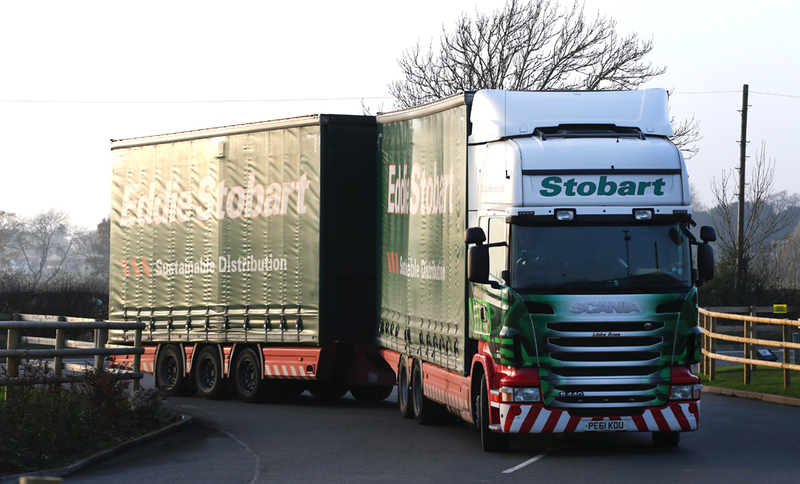 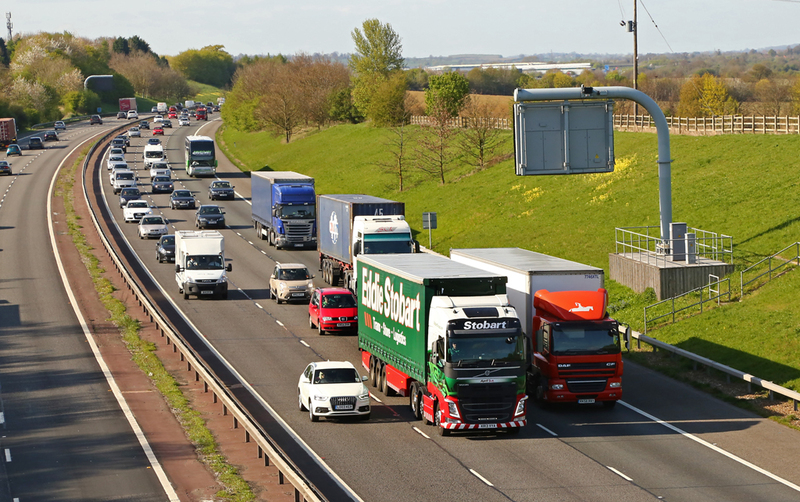 The flow of trucks for refueling, trailers swaps, and new loads is astounding, and shows the true multi-modal logistics into which Stobart are now engaged. 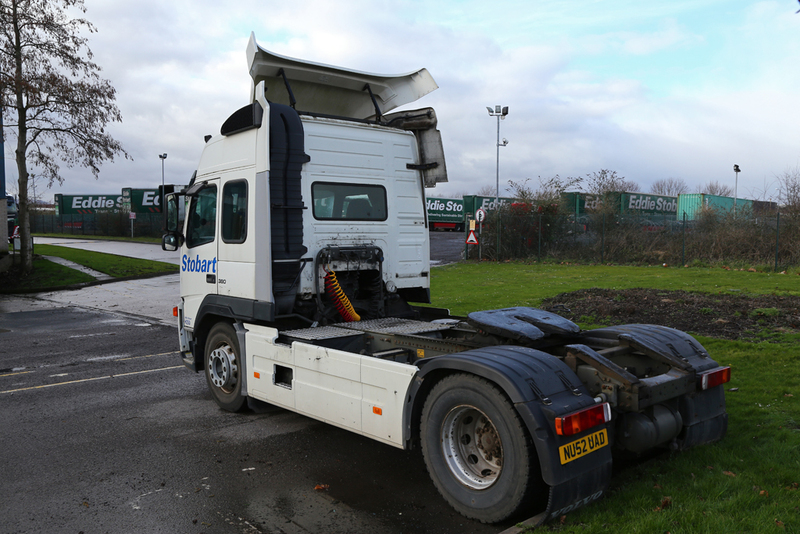 Our visit coincided with low winder light which provided a hindrance for some of the period which we visited. 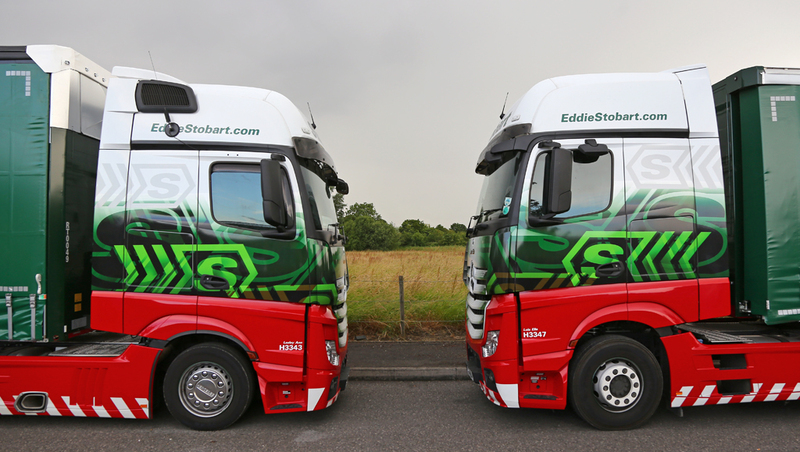 The entire Williams Formula 1 Stobart Fleet were gathered on the Wiltshire Industrial Estate (Westbury) on the 27th June 2014, prior to the British Grand Prix (which was due to take place one week later). 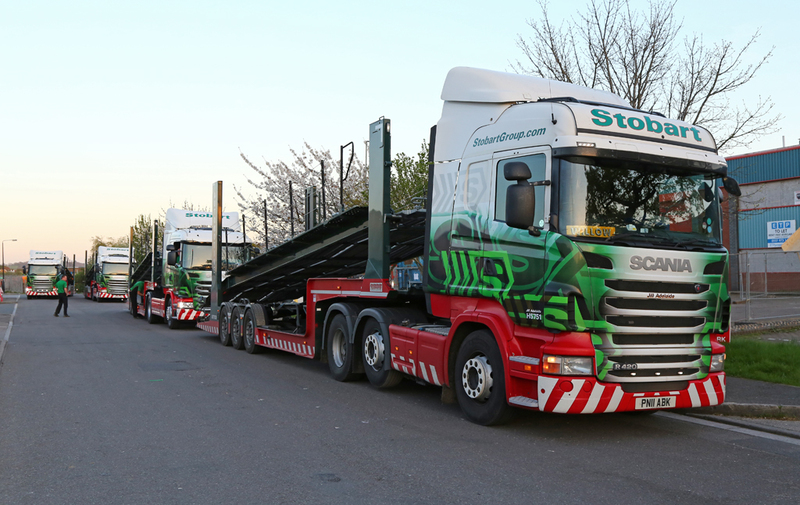 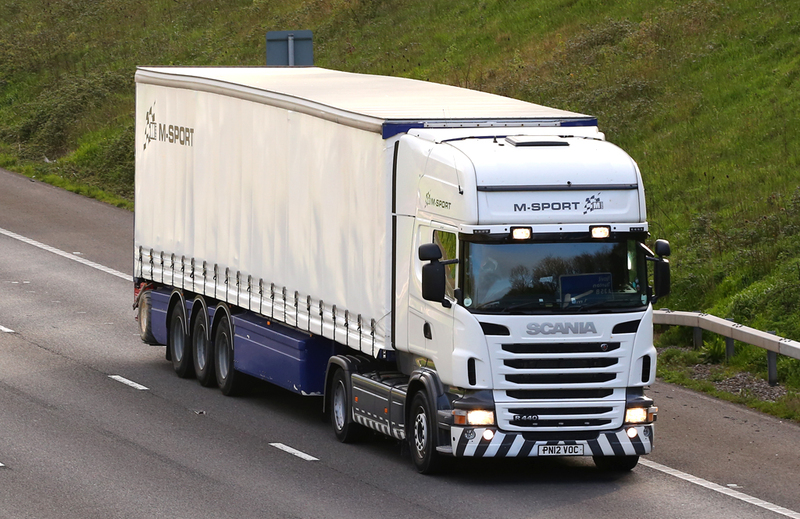 The lorries gathered to load equipment and collect new purpose built trailers from Spectra. 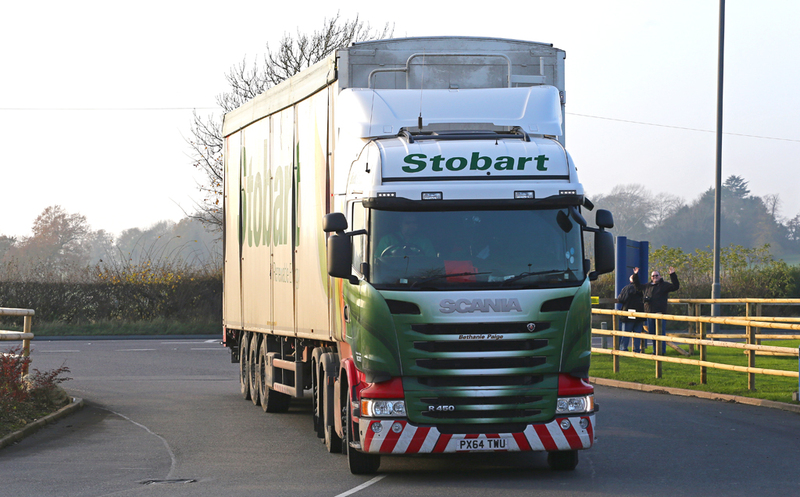 Word soon got out that fourteen European F1 trucks operated by Stobart for Williams F1, were located in this quiet Industrial Estate in Wiltshire. 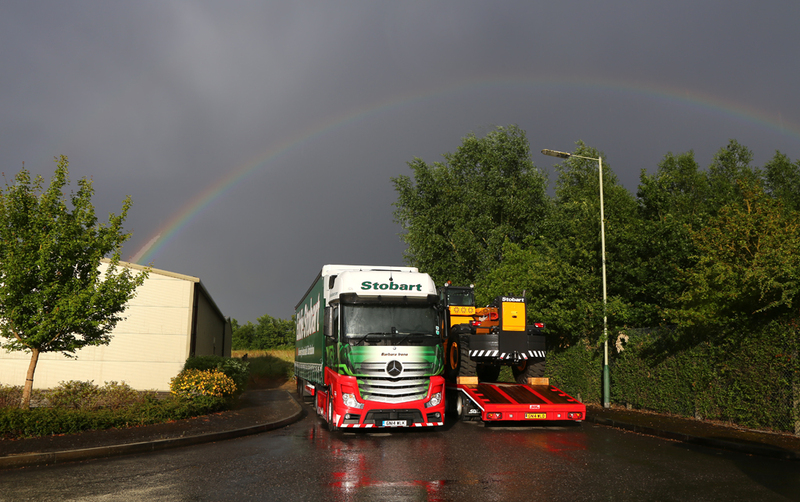 My arrival at this location coincided with a large storm (the same storm which halted the 2014 Glastonbury Festival). 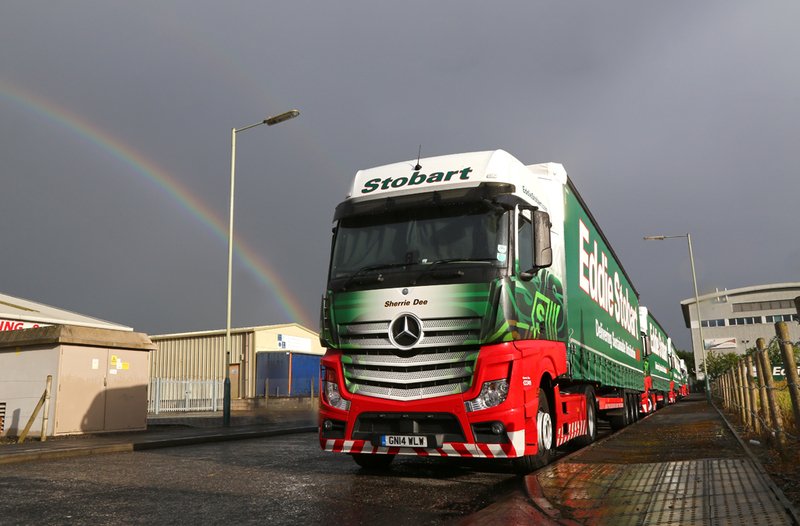 Once the rain had eased there was the chance to capture some very speical images of the Stobart Trucks. 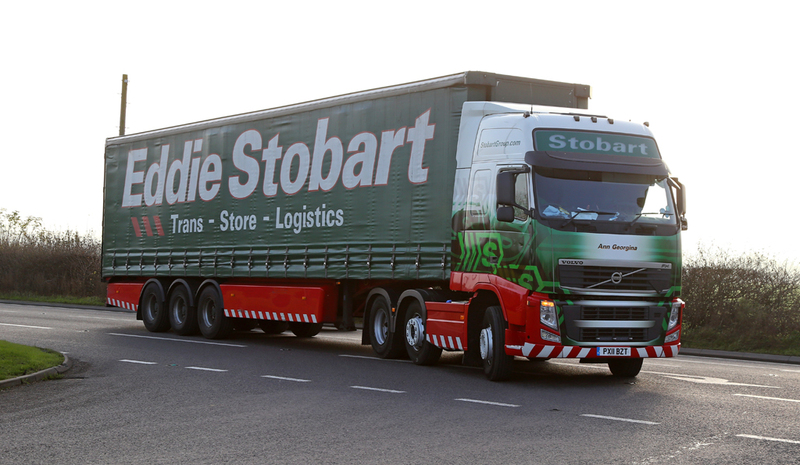 Janet PX13BMZ H8311, Roberta Mary PX13CVN H8327, Kayleigh Carla PX15CVS H8331, Jean Catherine PX13CVU H8333, Rosemary Sarah PX15JHU H8421.